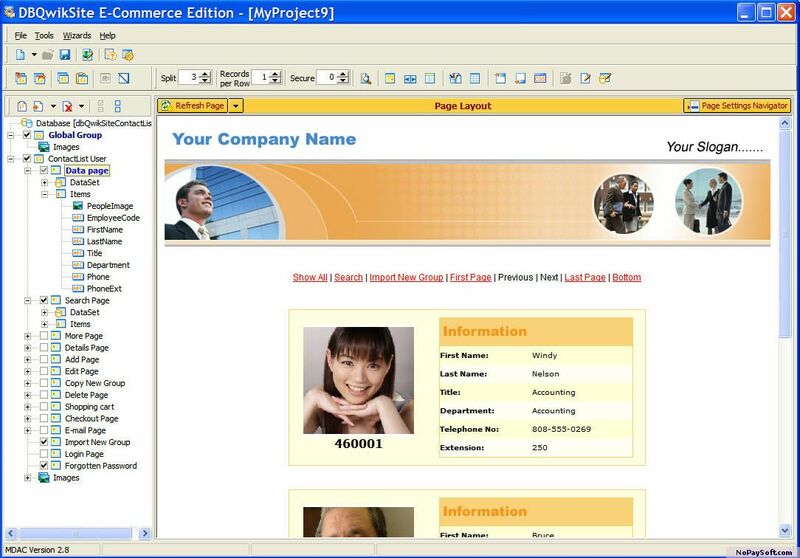 dbQwikSite PE: Free Software to Create Database Web site in Seconds. Generates ASP or PHP web sites for viewing, searching, adding, editing data. Reads your database and creates all the pages for you. Powerful desinger puts you in control of your page design. Includeds free starter templates with professional graphics. Supports localization for your language.